Here are some of the questions we get asked on a regular basis. If you have a question and you can't find the answer below, please feel free to contact us. Does the printer come with nozzles? If so, which size? Yes the printer comes with 5 x .5 nozzles. We also have .35 and .7 available on our site. Is every head customizable for temperature and extrusion speed? Yes, because of the liquid cooling system each head can have a different temperature, Nozzle 1 could be 190 Celsius and nozzle 4 could be 400C no problem. Also, each extruder has it's own speed and extrusion multiplier set in the slicing software. Are the two hot end thermocouples accurate enough for controlling accurately low temp melting materials such as PLA or ABS or support material? Temperature is controlled to within 1 degree Celsius by any of the temperature sensors. They can each hold independent temps from room temp up to 450C. So PLA and ABS are easy. How reliable are the Rova FDM printers? Our printers are built to last. We use only metal pulleys, metal gears, metal frames, injection molded plastic components, and stainless steel linear bearings. They are built like a tank. Do you sell a glass base plate to print on directly instead of having to cover the plate with tape? We don't sell a glass base plate option, but we do have customers that have had a custom piece of glass cut that they use on top of the bed for printing certain materials. If we hold off on the enclosure for now, can we purchase it later? Absolutely, you do not need the enclosure, though we do recommend to schools to have one for safety precautions. It also helps to maintain an elevated and relatively consistent internal ambient temperature which is a key factor in the success of printing with ABS and some of the other tricky materials. Is there a liquid display and an operators commands menu to directly control the printer (for maintenance for instance or to print from a SD card)? The tablet may be used to control the printer. There is no display permanently attached to the printer. We thought that the tablet was nicer because it's larger and touch enabled. Also it gives the customer the option to save some money if they want to control the printer with their own computer. Can metallic pieces (bolts, nuts) or other small items (various materials) be embedded into the product during the printing process? Yes they can. You would need to pause it at the right moment and insert the components. Is the printer equipped with an auto leveling function? How do I calibrate the Extruder? We are creating a full page on this. Check back soon. If I buy less than a 5 Nozzle printer now, can I upgrade it later? This one is tricky. Due to the liquid cooling system, and the fact you would need to completely re-wire the printer - we recommend you bring in your printer to our manufacturing warehouse and we will upgrade it for you. We suggest if you are going to want to have a 5 nozzle printer, start with it. You can always print with 1 nozzle, 2 nozzles, etc at first and move up to using all 5 later. 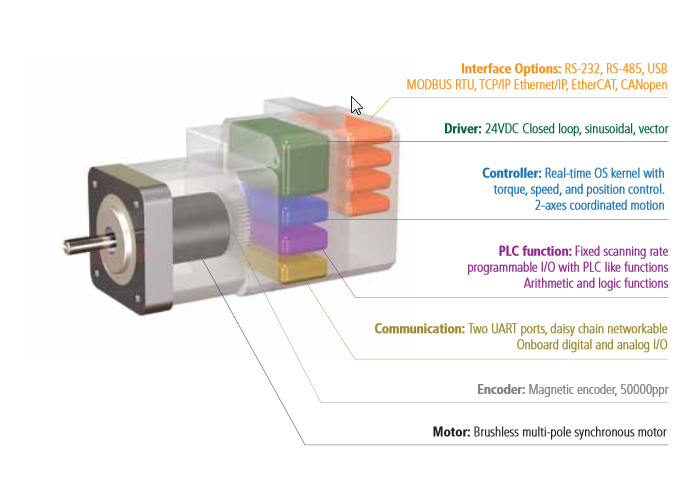 You have so many stepper motor options - how do I know which one to choose? Stepper motors are a resonant device, they are like a musical instrument that play notes as they're operating. This is very evident when they draw circles as the motors will "sing". The frame amplifies the sounds, this is by no means loud, you can carry on a normal conversation and easily hear some body even if you are standing directly beside the printer when it is operating. However some people may find it annoying over time. Vibration Dampers decouple the stepper motors from the frame so that the vibrations cannot carry through the printer and amplified. The result is a reduction of the volume of the sounds by 10 decibels. The Cool Muscle line of servo motors provide all the common components required for motion control embedded into the motor itself. The seamless integration of both software and hardware components creates highly efficient motion modules and remove the problems associated with open loop steppers like skipped steps, electrical inefficiency, low max rpm's, and low resolution. The Cool Muscle outperforms traditional servo and stepper systems by virtue of the controller's multiple closed feed-back loops with the driver and high resolution encoder while short wire lengths reduce susceptibility to EMI and noise. You do not need vibration dampers if you add the cool muscle motors because as near as we can tell they are perfectly silent. Further testament to their excellent quality. 1. Standard motor choice on the printers. 2. Standard choice of motors with vibration dampers on the X/Y and all extruders. What type of filament do you recommend I start with if I am new to 3D Printing? We recommend you start using PLA and then move onto other kinds of filament. How Do I Install Filament Tubes? A video to demonstrate installing filament tubes (Bowden tubes) on a MH3000. The process is similar for a RoVa3D. [Insert Video] Additional info on Filament Tubes: There are 3 choices when it comes to 3d printer filament spool colors. Clear, black, and white. Clear is neat because you can still see how much material is left. The black spools look nicer against anodized aluminum so they are better for appearance. However, my favorite spools are white because I can use a black sharpy and record the material properties, like the actual measured diameter of the filament, its optimal printing temperature, its optimal bed adhesion temp, the optimal extrusion multiplier, and lastly the serial number of its slic3r profile. Obviously you can pick your preferred spool based on your requirements, but for me I find that being able to record the printing details on the spools helps me keep track of the dozens of different material spools I have in my store room making for much faster and easier switching of materials. This is the main reason we went from selling filament on black spools to filament on white spools. You can check out what we have available here. Have you ever printed with Ninja Flex? A: We get asked this 10x a day and the answer is yes we have tried...unsuccessfully. When we designed this printer ninja flex didn't exist. The problem is that the extruder drive wheel 'squishes' the filament flat and then it cannot fit through the guide holes. Ninjaflex is TPE and around 40D shore hardness. For now we CAN print TPC (45D shore) so very close! But now that NinjaFlex is so popular, we has developed a new extruder that will be released in November 2015. It will be an add-on that will allow you to print Ninja Flex and other flexible filaments. It will just bolt on to RoVa3D's or MH3000's with 2 screws, no mods required, and replace one of the existing extruders. Will my printer come with filament? We do not normally include filament in with the printer. However if you are asking in regards to reselling the printers, we could bundle filament with the printer if that is what you would like to offer to your customers. We will also give you a bulk order discount if you order a large quantity of filament with your printer. What are the spool dimensions compatible with the spool supports or the printer? 165mm, 195mm and 220mm are the spool sizes that we use, but the printer will fit any filament spool up to 220 mm in diameter You could create some kind of support for larger spools externally if the need is there. What size filament does your printer use? Our printer can only accept 1.75mm filament which has twice the extruder resolution and is much more common. How many material profiles is the RoVa3D printer capable of working with, and what materials? PLA, ABS, Soft PLA, HIPS, PVA, PET, PETT, Taulman, Laywoo, Laybrick, ESD, Conductive, POM, Carbon Fiber, Wood, Brick, Nylon, Poly carbonate, carbon nanotube, and other future high temperature materials that are in development. Do your printers use a proprietary filament? We do sell various kinds of filament through Amazon, however you are free to use any brand of 1.75mm filament, in fact we encourage it! Do you offer a discount for schools on your FDM 3d printers? This program is specific to educational institutions and learning centers to help them incorporate this amazing technology so as to bridge the educational and technology gap to nurture the minds of the future. In addition, our Educational Discount Program assists committed institutions to build their technical offering to their kids by buying an ORD Solutions 3D printer at a significant discount and with unlimited free technical support for as long as the printer is in service and an extended warranty. So to answer your question . . . Absolutely! We can give you 20% off regular price items & 10% off sale items and cool muscle upgrades. This includes all printers, accessories and filament but excludes software & extended warranties. With your Rova FDM 3d printer purchase, we will include 2 free rolls of filament, free tech support and extend our warranty from 6 months to 1 year. We also have a reseller program. We’re building our network of Value Added Resellers (VARs) and searching for the best of the best. Are you one of the best? Then contact us. What Software Do I Need For the Rova3D FDM Printer Software The following software is necessary to print with your ORD Solutions RoVa3D printer. Please refer to the manual for installation instructions. Configuration Files: The following are default configuration files for Slic3r and Pronterface that you need to print with your ORD Solutions 3D Printer. Please see the manual for installation instructions. Yes sorry to bust your bubble but before you get all "gung ho" about 3d printing, you do need something called a 3d printing software. Now don’t get this confused with the Firmware (Software built in your 3D printer). There are two main types of 3d printing software: CAD Software - Helps you create a design from scratch, save it as .STL and even print. Slicer Software - Helps you print any .STL files (Standard format for 3d printing files). If you are creating a design from from scratch, Autodesk seems to be the brand of choice for most professional makers and enthusiasts alike. You can even do texture mapping with it and add text to your 3D designs. 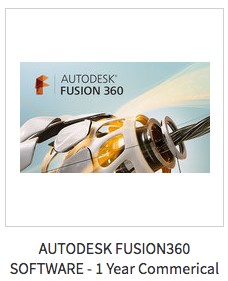 Autodesk’s Fusion 360 is considered by many as the best 3D printing modelling and CAD (Computer Aided Design) software around. With Autodesk, you’ll have your first .stl file ready to go in no time. In fact, most of the 3d models today on sites like Thingiverse have been designed on Autodesk. FreeCAD: An open source CAD software suited for pretty much all but if you have a little bit of experience with cad design, you’ll really enjoy it. You can use this for some solid 3d object designs. AutoCAD Student Version: Somewhat new and already making waves in the industry. The student version is free and seems to be quite robust. Slicer software is used to design what you want to print. Commonly used by beginners to the 3d printing world to print other people’s designs. Great way to learn the whole 3d printing process actually. Good news is most of these are free and most likely you’re probably get them with the purchase of your 3D Printer. 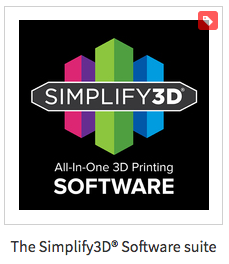 However, as your knowledge starts to improve, upgrade to the the popular Simplify3D. Considered the best slicer in the business today. Why be cheap right? Cura: Excellent with 3D print files that have ‘supports’ and to spot non-manifold models. This is a favorite of many newbies. As all you need to do is upload your design, set up a few additional things and you’re set. Mac users love this one. Craftware: Fast software designed by a Hungarian startup. This one has gotten quite popular since it’s release. NOTE: We kind of recommend Sketchup but it seems to take a lot of your computer’s resources to run. Today Autodesk and Simplyfy3D are available on Mac and PC. However, if you’re a true maker, you should be using a Mac. That said, only the true technical geniuses still use PC. Hopefully you’re using both. By the way, just kidding about both statements here. Use what you like. The new online CSS cleaner website allows you to organize style for websites. Is the firmware open source? Yes it is, you can find the latest version on our software page. Yes any android tablet that will run the gcode printr software will work. What is Pronterface / Printrun for? Printerface is the same as cura. It controls the printer. But another slicing program is required as well, since Pronterface doesn't have slicing built in. Is USB printing standard? Is Wifi an option? Yes USB printing is standard but users may link to a device like Astroprint for wifi printing. There is also a micro SD card slot. If I create a design in Rhino 5, Max (or other 3D software), is it possible to import it in the 3D printer software and transform it for the printing process? Yes any 3D design program will work with our printer. What CAD software is compatible with your printer(s)? Can we add a safety enclosure to the Rova 3d printers? What warranty is on the printer? All 100% of the 3D printer parts are warrantied against manufacturers defects for a full six(6) months! Users pay applicable shipping charges for warranty claims. You can purchase extended 1, 2 and 3 year warranties. What are the build volumes for 2 to 5 nozzle being used? Or have you developed a chart (# of nozzles vs build volumes)? Is the height limited to 191 mm, can it be increased to 250-300mm? You can increase the height by cutting your model, and printing it in two piece, or arrange it to print on the print bed diagonally. How is the order & payment process going to be? If you would like place an order and live in North America you can place your order online and shipping will be calculated for you. You can pay via Creditcard or Paypal online. We also allow you to call us with your Credit Card, send us a cheque, or wire transfer. You will receive an order number and will be put into the queue for shipping. Generally the lead time is between 1 and 2 weeks. Sometimes it may be a little longer depending on the upgrade options you choose as they need to be ordered in. If you live outside of North America you will need to contact us with your address for a shipping quote. We will then invoice you and you are able to pay via Creditcard, PayPal, or wire transfer. Please note we cannot accept net 30 day payments. All orders must be paid for in advance of shipment. What would be the delivery time be? Shipping times vary depending on where you live. Once your order has shipped we will send you the tracking information, so that you can follow along and see the expected delivery date. Send us an email from our contact page or email us directly at info@ordsolutions.com with any support questions you might have. (all printers come with life time email support*), or browse our very activeforum space for your question/topic. Answers to Frequently Asked Questions can be found in our FAQ. * We will attempt to address customer support inquiries within 24 business hours (EDT). Do you guys do and live trade shows or events where we can see the Rova 3D printer in action? Join us at the Kwartzlab in Kitchener for a 3D printing info night every 4th Wednesday of the month. We will have our 3D printers there for you to check out and see a live demo. This is the perfect place to go if you are new to 3D Printing and want to see what it's all about, or if you are already a 3D Printing enthusiast and want to bring your 3D Printer out, and share what you are working on! Do you offer any additional community related programs? Our goal is to provide programs & contests to engage our user community and grow the understanding and application of 3D printing technology through dynamic engagement. Check this section often to see what we’re up to. Past Engagements: Visit our booth at the Bay Area Maker Faire (May 20, 21 & 22nd 2016) for a chance to win a RoVa 3D Printer.